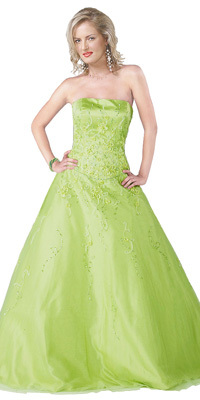 A beautiful gown is designed for special occasion making you look classy and stylish. It features a strapless pattern followed by intricate embroidery over the upper bodice and at the back making you look exclusive. It bears a full length skirt with a splash of embroidery over the skirt giving the whole gown the required effect.